Meltwater, a global leader in media intelligence, announced the acquisition of Algo, a real-time data analytics platform powered by the most advanced machine learning techniques available. The acquisition further strengthens Meltwater’s powerful media analytics and insights platform by bringing on Algo’s patented Velocity of Information engine, which surfaces rising trends from tens of millions of real-time data points. The acquisition also brings Algo’s team of award-winning information Natural Language Processing and information retrieval experts in-house to oversee development of new products. Founded in 2015 by Matt Michelsen, Aaron Rama, and Evon Onusic, Algo leverages machine learning and natural language processing to democratise online semantic data that currently only the tech giants have the infrastructure to support. Its Information Velocity algorithm is the foundation for several patents. It processes one billion data points daily in real-time, determining which information is spreading fastest globally. The Algo app has been massively adopted, with over three million downloads. “In this day and time we are all drowning in data. Meltwater’s goal is to give our clients access to smart technology that can cut through the clutter and extract critical insights from billions of data points – data points which would be impossible for a human being to make sense of. There is a vast amount of external data that companies today largely overlook containing real-time information about how competitors invest, how they hire, how they spend their ad budget, and how their products are received in the market. Anyone that is thoughtful about mining this information will create a powerful information advantage over their competitors,” said Jorn Lyseggen, CEO of Meltwater. 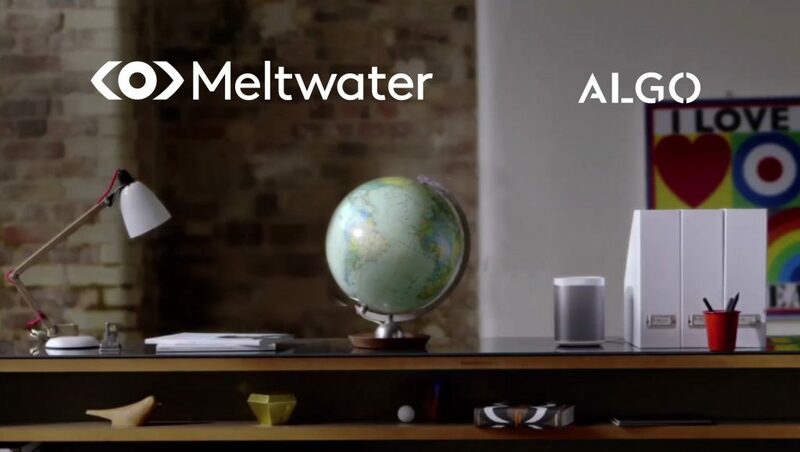 “We’re excited to marry Algo’s infrastructure with Meltwater’s current technology and become the global leader in media intelligence. The opportunity to help grow an international organisation committed to helping its customers gain an unprecedented level of analysis is exciting,” said Matt Michelsen, Investor and Co-Founder of Algo.